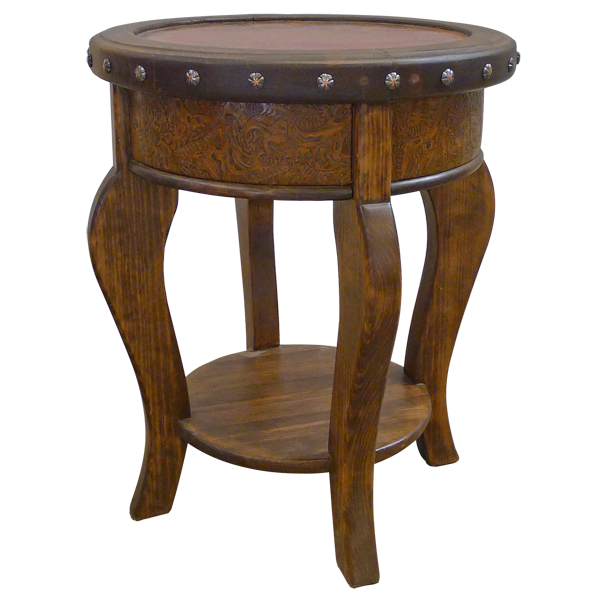 With its hand hammered copper top, hand forged iron conchos, full grain leather upholstery, and beautifully finished wood, this handcrafted end table incorporates a variety of opulent textures. 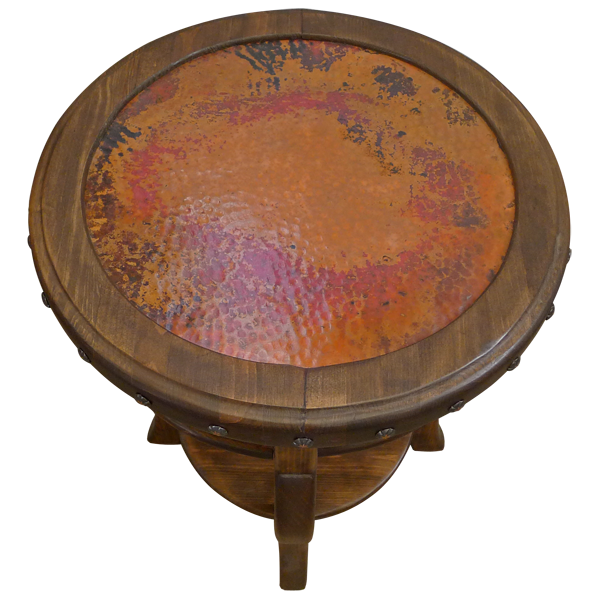 The center of the round table top is made with hand hammered and hand tooled copper, bordered by a solid wood, round belt. 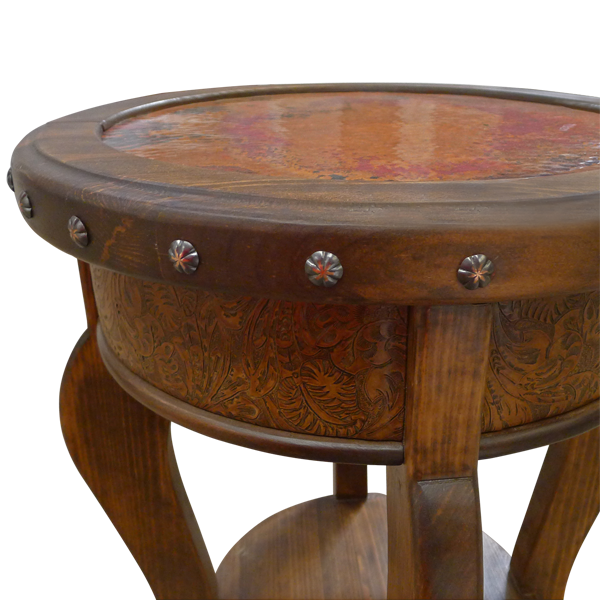 The outside wood rim is embellished with large, hand forged, iron conchos. The table top rest on a solid wood base, and the base is covered with rich, embossed, full grain leather. The top and its base are supported by marvelously, curved, cabriole legs, and the legs are connected by a circular base. The circular base can also served as an additional tray for displaying personal objects. Made with the best, sustainable, solid wood available, it is 100% customizable.